The American Institute of Architects just released its latest Home Design Trends Survey, reaching back to the fourth quarter of 2018 to focus on kitchens and baths, but its top finding couldn’t be more timely: Outdoor cooking spaces top the most-wanted list. Just in time for the Spring season when more Americans can use their outdoor living areas. Those areas will find new higher-end cabinetry choices available, wine refrigeration, beverage dispensers, grills with connectivity, new pizza ovens, televisions and speakers, fireplaces and outdoor tile that matches its indoor counterparts for style continuity. Outdoor kitchens led the AIA survey for most wanted home feature. Indoor kitchens were also a hot feature for architects, the study showed, with the number of kitchen projects increasing. At the same time, the sizes of those rooms remained stable. Wine refrigerators and wine storage jumped 10 percentage points on the popularity list. Smart home features in the kitchen grew by five percent. Recycling centers and butler’s pantries also grew slightly, while double islands dropped by seven percent. Induction cooking and undercounter appliances also dropped slightly. Concealed lighting – e.g., as you’d find under wall cabinets – was listed as a popular feature. So was mixing countertop materials. Door-less, no threshold showers lead the trend list for bathrooms, with tub-free bathrooms trending strongly, as well. For those clients who sought tubs, freestanding models were the most popular. Many of those are extremely contemporary in style. While kitchen sizes were not growing, bathroom sizes are, the study noted. Surprisingly, given the general aging of the population, adaptability/universal design features decreased slightly from the year before. Water-saving toilets decreased slightly, as well, while smart toilets nearly doubled in popularity. Smart toilets can include bidet-style features, which are becoming increasingly affordable, as well as heated seats, lids that lift automatically as someone approaches, and even connectivity for playing song lists. 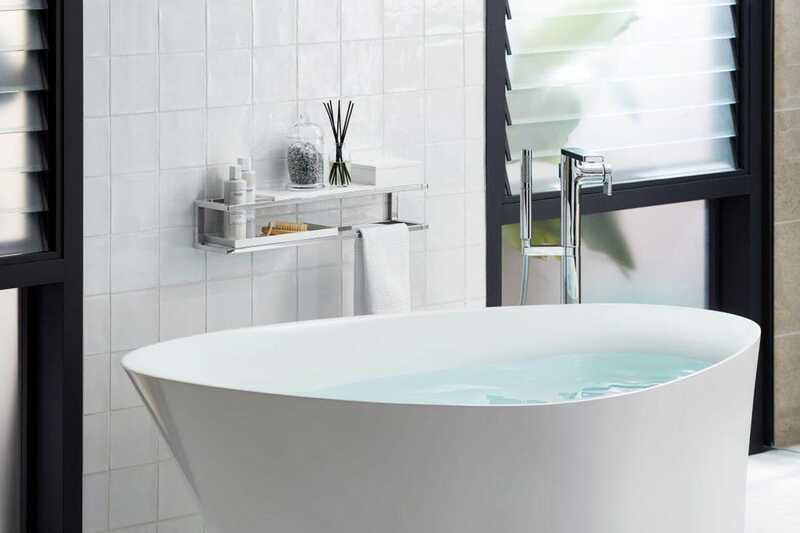 When homeowners choose tubs, freestanding are the most popular. Also not growing are the number of homes for first-time buyers and second or vacation homes, the study revealed. “In addition to overall slowing in design activity, all major residential sectors reported considerably slower growth or declines,” observed AIA Chief Economist Kermit Baker. Project billings and inquiries softened in that quarter, but remain positive, the study reported. Remodeling and additions were down by 20 percent, compared to the same quarter in 2017. First-time buyers and affordable home projects dropped by 16 percent, and move-up homes dropped by 19 percent. Custom and luxury homes were down by 23 percent and condo/townhouse projects dropped by 12 percent. All of this slowing gave architects the chance to catch up on their backlogs, which should be good news for clients waiting to build new homes, create additions or remodel. Clients in the Midwest enjoyed the most activity, while the Northeast and West declined and the South grew, but at a slower pace. The AIA is headquartered in Washington, DC, with 94,000 members and 200 chapters in the United States and internationally. International chapters include the Middle East, United Kingdom and Europe, Hong Kong and Shanghai, Japan and Canada. U.S. territorial chapters include Guam and the U.S. Virgin Islands.